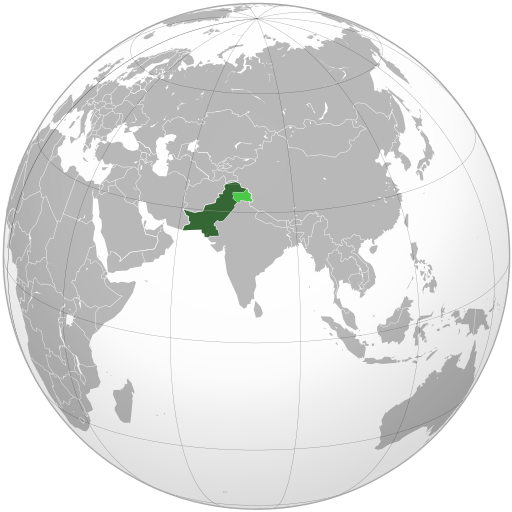 Pakistan lies in South Asia and Pakistani cuisines are influenced by various cultural, historical and regional cooking styles. In Pakistani cooking, you will find elements from Mughal legacy, Iran, Turkey, Central Asia as well as Indian subcontinents. 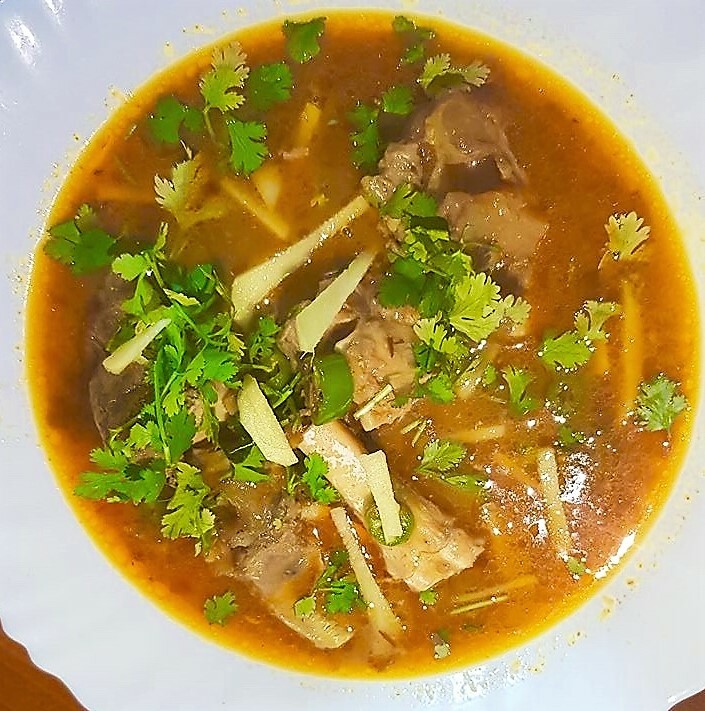 In Pakistani cuisines you will find cultural and ethnic diversity, from spicy & highly seasoned food in Sindh and Punjab to mild and simple flavors in Khyber Phakhtunkhwa, Azad Jammu & Kashmir, Gilgit Baltistan, Balochistan and Tribal areas. Following is the list of top ten Pakistani cuisines that you should look forward to when visiting Pakistan. One of the favorite traditional breakfast of a Pakistani foodie is Halwa poori and Channay. Poori is basically a version of flat bread made of flour that is deep fried in oil. 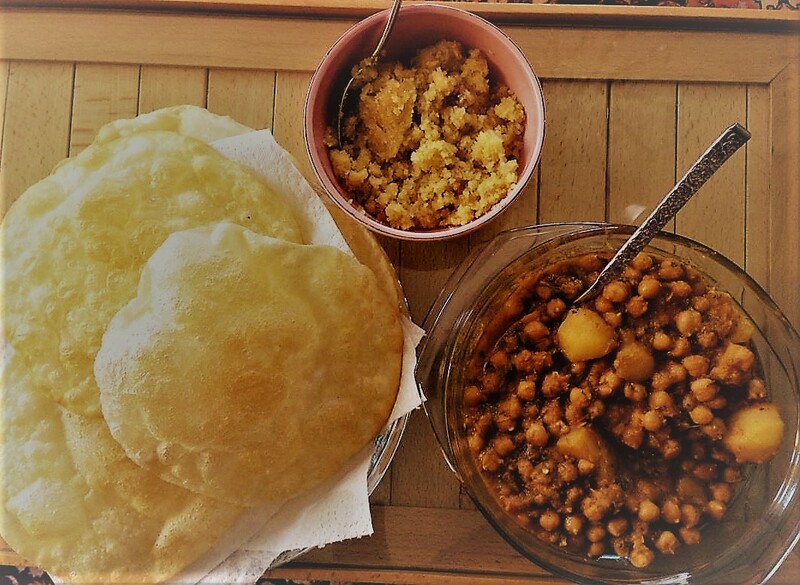 It is eaten with halwa and channay that is a curry made with chickpeas and potato. Halwa is a dessert that is made from semolina. Poori is served hot along with halwa and chanay. Having sweet and savory along each other creates a uniqueness that is loved by all. Another breaskfast item that is eaten mostly in Punjab is Siri Paaye. It consists of hot soup or broth of lamb feet and head that are cooked overnight. This dish is considered very healthy especially for bones. It is served with Naan (Flat bread) and people like to eat the bone marrow to get the instant energy. “Fazal e Haq Siri Paye” is one of the most famous restaurants in Lahore and Karachi that serves mouth watering Siri Paaye. 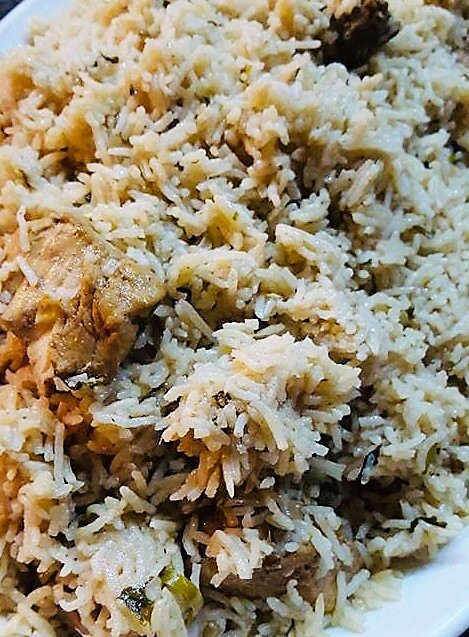 In Pakistani cuisines and dining experience, rice has a special place and the two of traditional food items made from rice are Pulao and Briyani. Both are made from rice and any form of meat. Recipes and flavors of both vary across the zones and regions. Briyani is one the most loved form of rice in Pakistan. 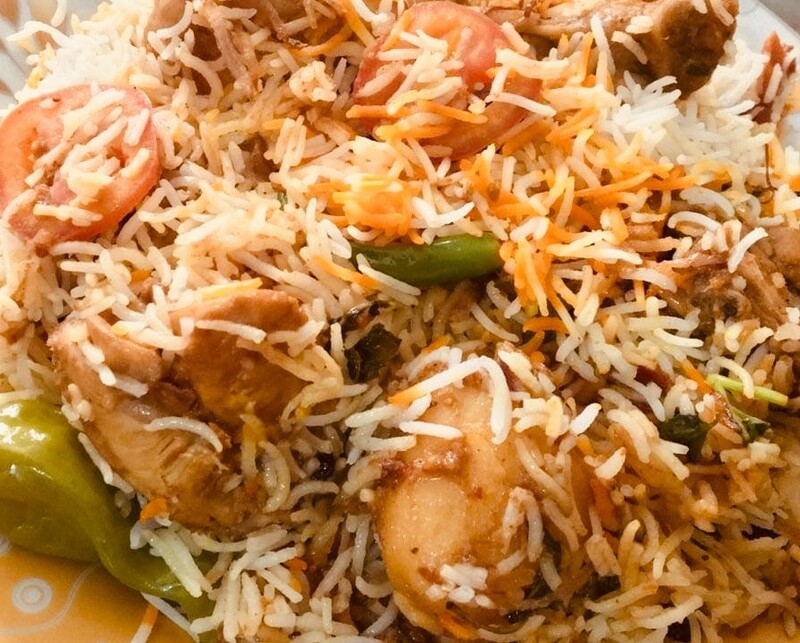 Over the time, It took various shapes, structures and varieties of flavours like Sindhi Briyani, Aalo Briyani, Mutton Briyani, Tikka Briyani etc. 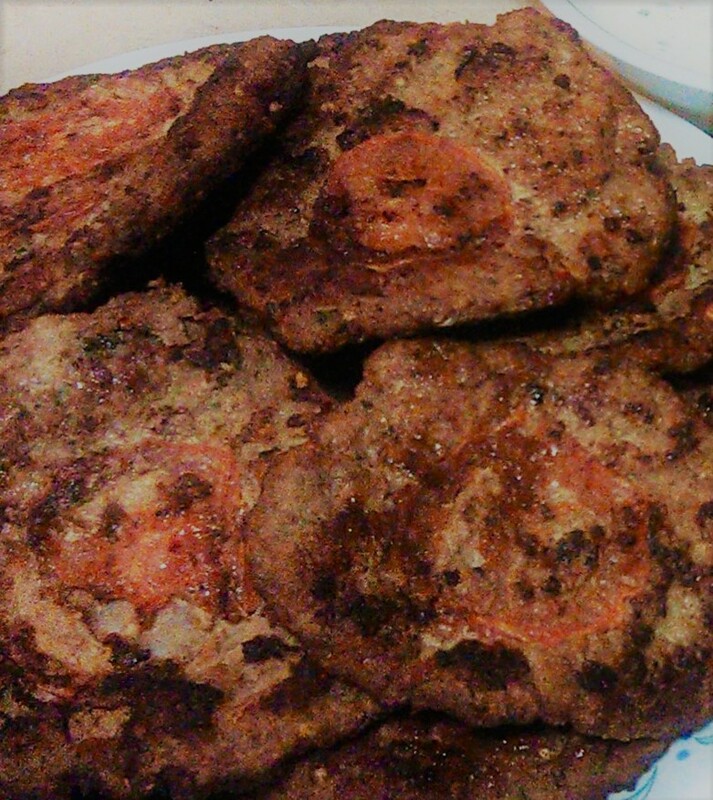 As the name suggested, it is the famous food item of Peshawar. It is made with meat mince, ginger garlic, onions, tomatoes, salt and chillies. It is a side dish that is fried and is served with Tandoori roti or Naan along with chutney (green chilli sauce mixed with yogurt). 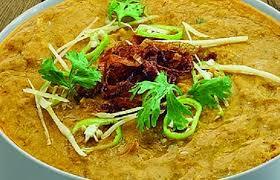 Haleem or Daleem is a blend of meat and lentils. It looks like a soup but it is a savoury dish that is eaten with Naan. Daleem means a mixture of lentils. It is a special dish that needs extensive cooking. For this, a number of lentils are soaked overnight and it is cooked on low heat along with meat for the whole day. Before serving, it is garnished with fried onions, lemon juice, cut green chillies, ginger and coriander. 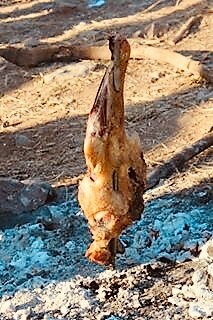 Sajji is a dish from Balochistan. It is made with whole chicken on lamb in skewers. It is only marinated with salt and papaya paste and is stuffed with rice. It is roasted over coal and is considered done at the “rare stage. It is served tandoori nan, roti or kaak. 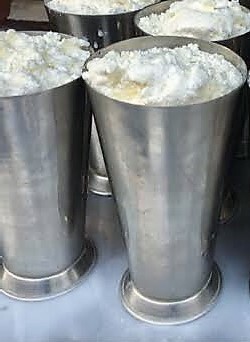 Lassi is a traditional drink that is made with milk and yogurt. It can be sweet or salty. Pakistanis drink sweet lassi for breakfast and salty for supper or lunch. Karahi is a traditional wok in which food is made or served. In Pakistan, Chicken karahi or Mutton karahi is a common dish that is cooked easily and is loved by all. 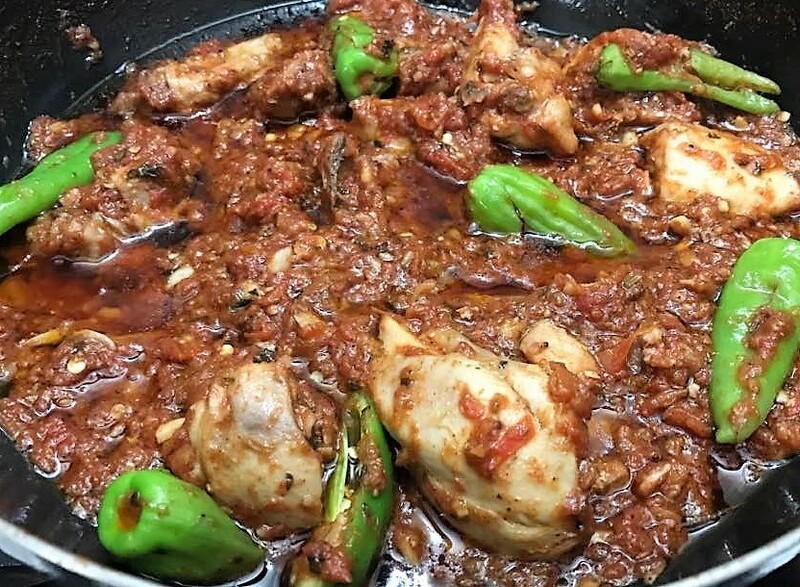 It is made with meat, tomatoes and a variety of spices in karahi. It is full of flavor and recipe varies from region to region. 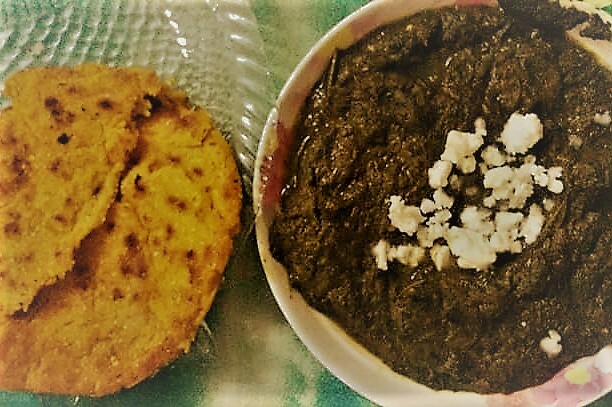 It is a punjabi dish made with spinach and a varieties of greens. It is cooked for our and blended to get the smooth finish. It is heaven for the palate. It is served with homemade/organic butter and makai ki roti that is a flat bread made from maize flour. 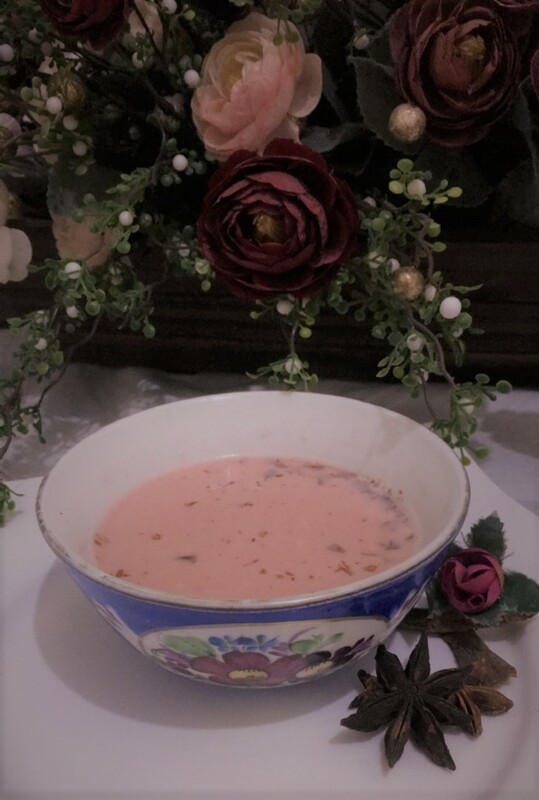 Kashmiri tea, pink tea, noon chai, gulabi chai is a tea that is made from green tea leaves, milk, salt and baking soda. Baking soda gives a pink color to the tea. It is a specialty of Kashmir but is loved by all Pakistanis in winters. It is garnished with crushed pistachios.